You only have to look at the success achieved by British women rowers at the 2012 Olympics to realise that we are among the best in the world in this particular sport. But it wasn’t always so. 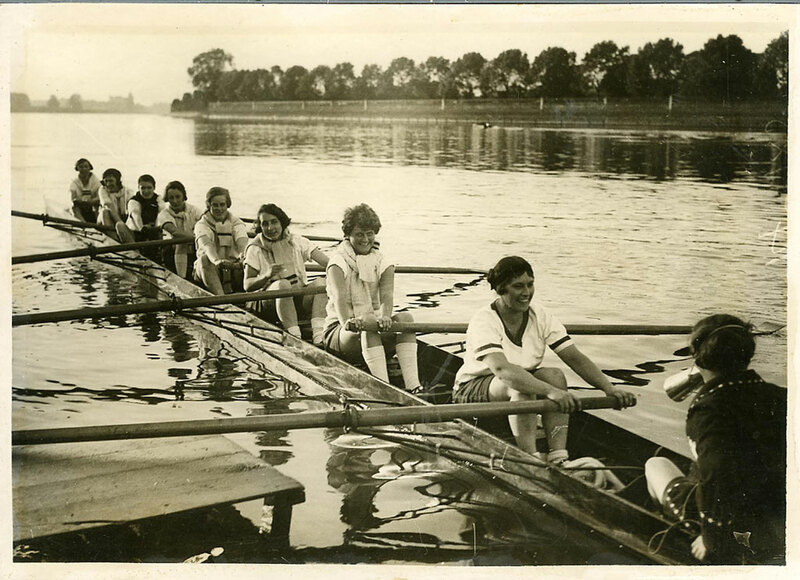 Back in the 1920s, rowing was an almost exclusively male preserve because women were thought to be too ‘delicate’ to partake in such a strenuous sport! So, in 1926, a young lady named Amy Gentry, whose family used to holiday regularly on Hamhaugh Island, decided to set up Weybridge Ladies Amateur Rowing Club. With her father’s help, Ms Gentry established the club in borrowed premises on the towpath close to the junction of Thames Street and Walton Lane. Amy was elected captain of the club and held that position for 50 years until her death in 1976. The establishment of the club marked the beginning of a slow recognition for women’s rowing which culminated in 1960 when Amy Gentry persuaded the International Rowing Federation to stage the women’s European championships in London. 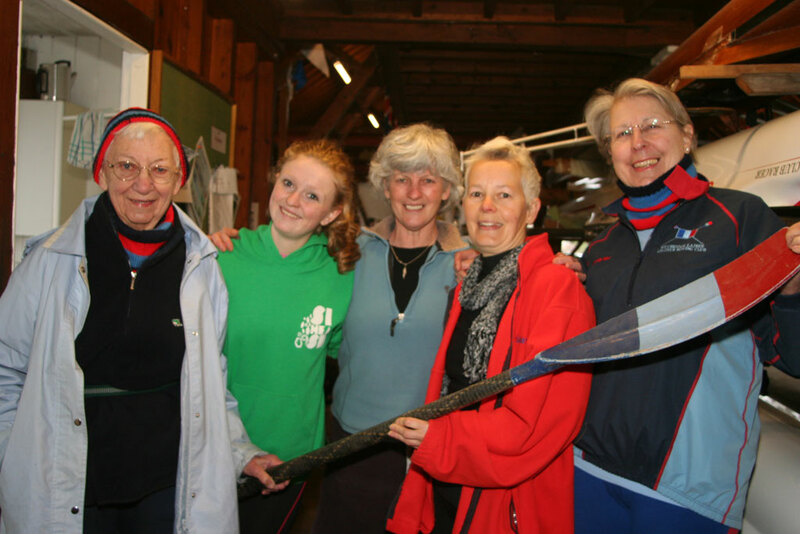 Cheerful crew: Weybridge Ladies Amateur Rowing Club members in the clubhouse. President Eve Gould, Laura Woolley, Viv Jackson, Shirley Williams and April Harper. Sadly, Amy never got to see the first women row in the Olympics – in Montreal in 1976 – because the event took place just weeks after her death. But her passing was marked by the fact that Pauline Bird from Weybridge Ladies rowed in those Olympic Games. Amy’s legacy lives on today as the club has gone from strength to strength. I went along to meet some of the current members during their training session on a cold, wet Saturday morning and was bowled over by the enthusiasm and love for the sport. It is probably best characterised by lovely Eve Gould, an 85-year-old who has been a member for 59 years and who still rows regularly. Club secretary Shirley Williams says Weybridge Ladies take part in a wide variety of head of the river races and local regattas including one they host themselves, which this year will take place on Sunday, June 2. The club is hoping to secure a grant from Sport England to upgrade the existing clubhouse, which, although handily placed for storing and launching boats has no heating and precious few facilities. But land-based training in an unheated clubhouse will test the best intentions of any rower. If you’re interested in finding out more about Weybridge Ladies ARC, the club will be holding a ‘Try Day’ on Saturday, April 20 between noon and 5pm. For more information, email the club at weybridgeladies1926@gmail.com.